Golden Dragonfly Press, 9780998976624, 332pp. Featuring the voices of 108 contemporary female practitioners of Bhakti from all over the world, this rare and beautiful anthology illuminates some of the endless treasures that stir in devotional hearts. Whether playing a drum, walking through the woods, cooking or absorbed in mantra meditation, these Vaishnavis prayerfully reflect on the various aspects of their spiritual journeys toward divine love, echoing the spirit of their ancient lineage. Their poems present a wide range of sentiments and perspectives divided into eight themes including their individual relationships with themselves, their gurus, and the divine, as Krishna. Although we find the collective feminine voice at the heart of ancient Bhakti texts, the voices of women on the Bhakti path have typically remained in the background. In solidarity with other efforts that are being made all over the world to restore honor to feminine divine and her servants regardless of gender, this book unites women from various "sangas," or spiritual communities, to spark a resurgence of the feminine voice in the modern Bhakti movement through poetry. Al proceeds go toward supporting and empowering the voices of women and girls in the Bhakti tradition. Krishna Kanta Dasi (Catherine L. Schweig) has been practicing bhakti yoga since 1986, and was initiated into the Chaitanya Vaishnava tradition in 1990. Passionate about inspiring women to honor their voices, she founded the Vaishnavi Voices Poetry Project. 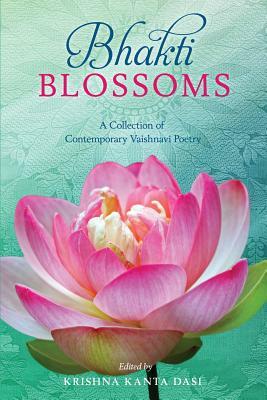 In 2012 Krishna Kanta started the "Journey of the Heart: Women's Spiritual Poetry" online community, for which she has edited and published four anthologies of women's writings.